I’ve been starting and finishing a lot of things recently which has been very satisfying, all quick makes so it was a little tricky thinking up what could be my goal for August, especially bearing in mind that the children are on school holidays for the whole month. 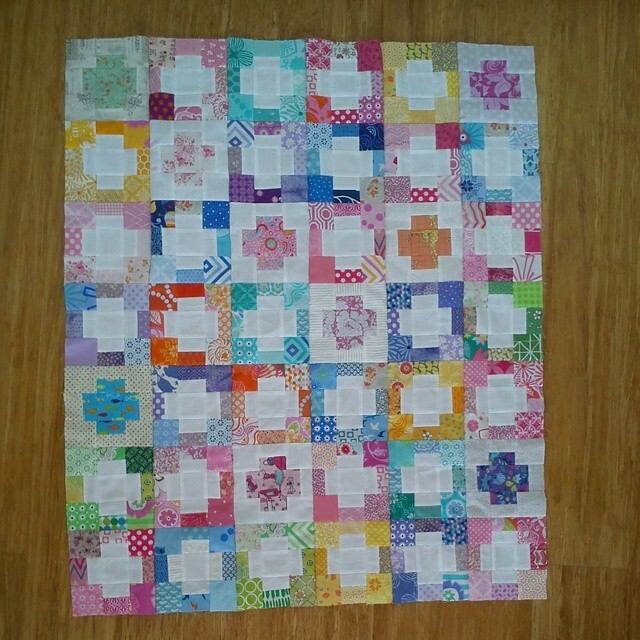 So I’m going to attempt to finish hand quilting this baby quilt. I have never hand quilted before but I’ve made a start and I think it’s looking ok! I cut and pieced the whole top in July along with a pile of other things, it was a fairly quick and very fun make; I’m hoping I can gift it before too long. Such a pretty quilt top! It’s going to look wonderful once you’ve quilted it. This is such a cute quilt! Love it! That is such a cute and cheery quilt. 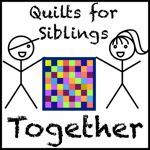 I hope you can do the hand quilting. I have never been able to get the hang of it.